It’s thanks to them that this workshop took place. Those 15 amazing people decided to spend their free weekend to teach our participants. 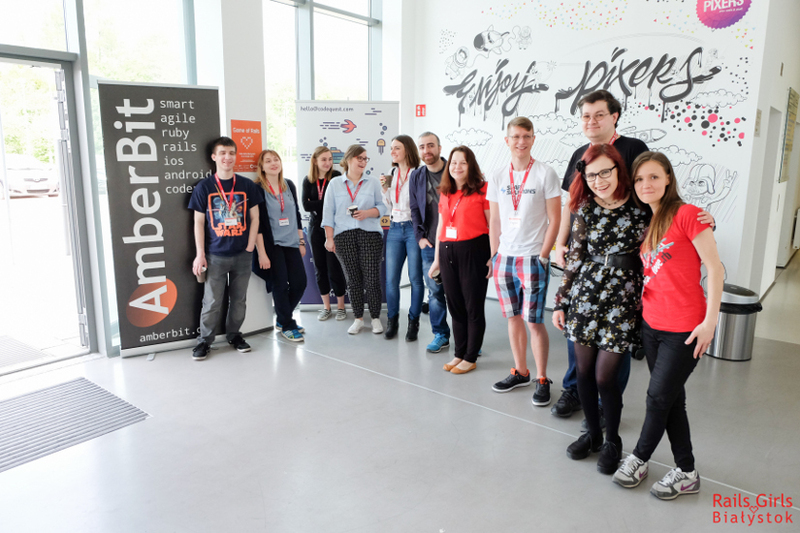 Besides our friends from AmberBit - Dominika, Aneta, Kamil and Wojtek, 11 people from different cities came to Bialystok. Every one of them is a great person so please meet Andrzej, Basia, Kamil, Krzysiek, Krzysiek, Magdalena, Marta, Ola, Patryk, Piotr, Sakir. As organizers we couldn’t wish for better mentors. We are extremely grateful for their involvement. We also invited 7 guests to tell our mentees a little bit about various subjects connected with programming and IT in general. Kasia told us about beginnings of web development, explained how internet works and what are requests and responses. Pawel mentioned how important is programming and introduced alternative career paths in IT. He also invited people to enroll to postgraduate studies which will definitely help to achieve better understanding on selected subject. Dominika, who was also a mentor, introduced git to our participants. Thanks to her easy to understand examples all mentees wanted to do their first commit right after she finished presentation. Pawel told us how important are TDD and testing our applications. He taught us about rspec and show few examples of writing tests. Eliza and Dawid spoke about Hacklag - what it is, how people can get involved and why this place will be important place in Bialystok for people interested in IT. Magdalena talked about UX - what is it and how to properly design website. Moreover she shared some of her experience on working with front-end developers. 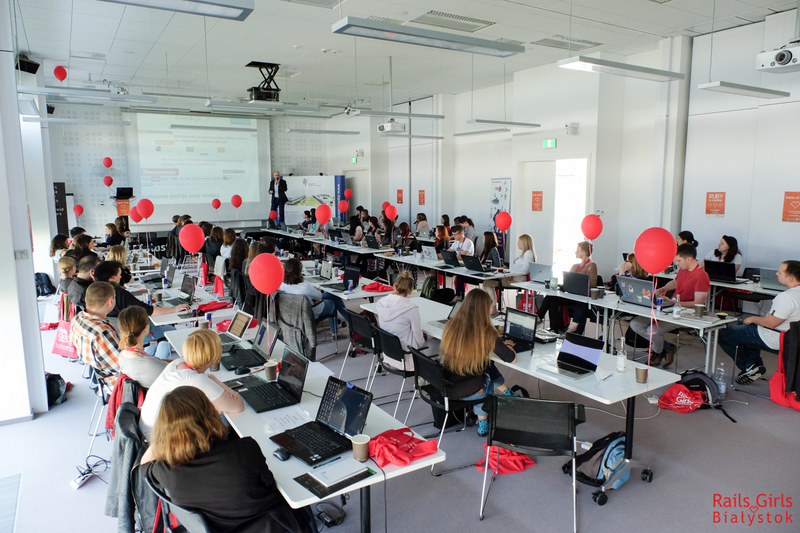 Rails Girls Bialystok 2016 took place in a big lecture hall in Białystok Science and Technology Park . We tried to make it as cosy as possible so we put lots of geeky posters about Ruby on Rails and programming in walls and we also had lots of red helium balloons flying around the hall. Thanks to our sponsors and partners, we were able to give small gifts to our mentees. This year workshop is over and so we asked our participants to fill in short survey asking about their impression on the event. 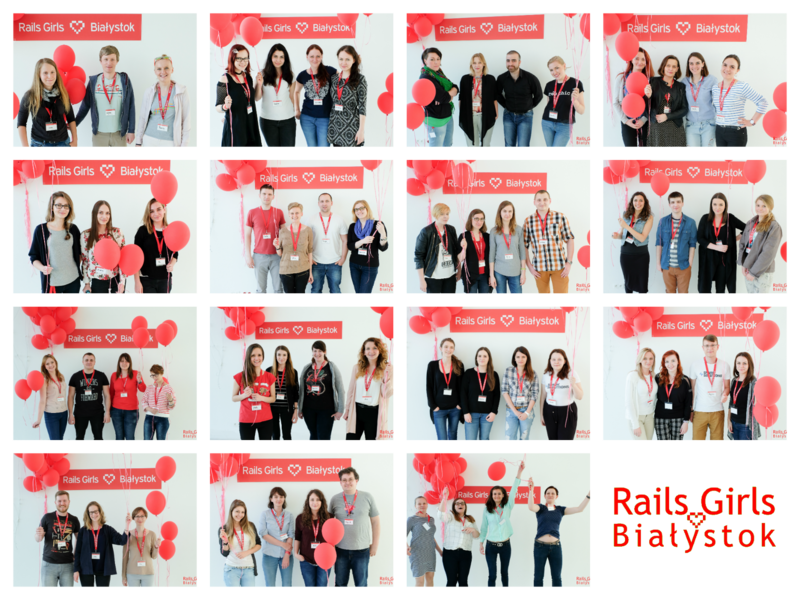 All of them were really happy with it and encouraged us to continue organizing Rails Girls in Bialystok. Of course, we also received some suggestions as to what can be improved which definitely motivates us to further work. We are sure that many of this year’s mentees were truly inspired to continue their interest in IT as we met some of them during periodic IT events organized in our city.